For undergraduate, graduate, and executive courses in leadership, organizational behavior, and management. A flexible approach to understanding and applying leadership. 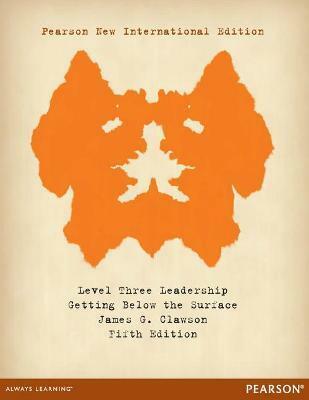 Level Three Leadership (L3L) uses a flexible leadership model to help students and practicing managers understand and apply the principles of leadership. This text focuses on what managers can do to influence the thinking and feeling of others-rather than focusing on changing behavior. The fifth edition has been significantly enhanced with additions based on the recommendations of reviewers and users.